Nestled by the River Tame in the beautiful village of Elford, midway between Alrewas and Tamworth on the A513, lies an old Edwardian walled garden which is being lovingly restored by a group of enthusiastic volunteers. This photograph shows the garden as it was in 2009 when the restoration project began. Since then, extraordinary transformations have taken place, which have to be seen to be believed! Part restoration, part creation of a freely accessible asset for the community at large, this project has seen a valuable amenity grow in the place of the inaccessible jungle that covered the site in 2009. Now recognised by RHS awards in 2011, 2012, 2013 and special commendations in 2014 & 2015, plus the Queen’s Award for Voluntary Service in 2012, this secluded jewel is becoming a popular venue for visitors of all ages. It is open every day until dusk when the gates to the car park are locked, but pedestrians can enter after dusk if wildlife watching is their thing. Entrance to the garden is FREE but we rely on donations so feel free to reward our hard work generously! On Tuesday, Thursday and Saturday there will be volunteers on site who will offer refreshments should you need them and will be delighted to chat about the project. 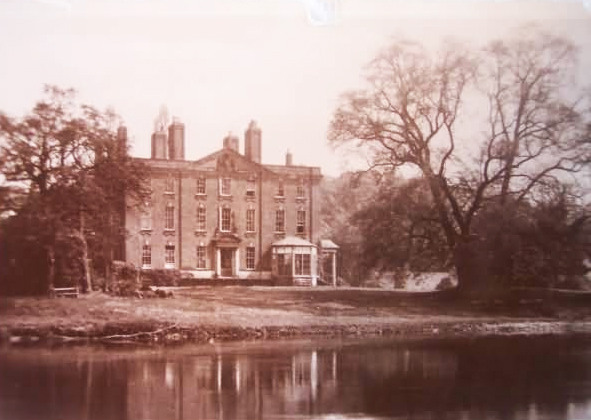 The Elford Estate was ‘gifted’ to Birmingham in 1936 by Howard Paget, last Squire of Elford, to be held in trust for the benefit of the people of Elford and Birmingham. It was a substantial gift! It included a Georgian Hall, 600 acres of farmland and numerous properties including two walled gardens, a wood yard, stables, blacksmith’s forge and numerous cottages. 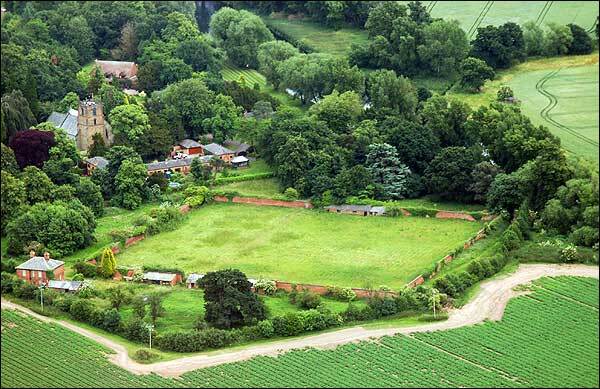 The estate extended from Whittington to Elford and had farms and cottages on both sides of the river. The old Hall was used to house exhibits from Birmingham’s museum during the war but then fell into disrepair and was declared unsafe and demolished in 1964. Over the years, Estate property was sold off until by 2008, very little of the original estate remained. But in 2008 an action group was formed in Elford and managed to gain permission from Birmingham Corporation to allow them to try to rescue the decaying walled garden and to turn it into an amenity to be enjoyed by the general public. And so the restoration work began. Thanks to generous funding from a variety of national and local organisations, plus donations of money and materials from many sources, a small army of enthusiastic volunteers got to work early in 2009. The walled garden was earmarked for housing development but the action group had other (better) ideas! They set out to To restore the site as far as was possible To make the site a free and accessible place for all visitors To retain as much of the original character of the site as possible From the outset the garden was intended to be wheelchair accessible, was to have things to attract all ages and was to provide a place where people of all abilities and ages felt that they could be valued as volunteers or as visitors. The project currently leases the walled garden area from Birmingham. What is on offer to visitors? From February until May there is a succession of Spring bulbs – snowdrops, crocuses, daffodils and bluebells – to lift the spirits From Spring to Autumn the long herbaceous border leading to the Gardener’s House is a delight At blossom time, the new orchard is alive with flowers and the sound of bees The riverside offers distant views and is one of the many areas for a pleasant picnic in the garden The sensory garden is a series of interesting garden ‘rooms’ where peace and tranquility reign in a kingdom of scent, colour and texture variations. Inside the walled area there are interesting allotments to study The rose garden is a peaceful fragrant oasis of calm in the corner of the walled area. The old boathouse has been rebuilt to serve as a wildlife observatory. Visitors can use the boules pitches as they relax. Refreshments are often available for a small donation. We have recently opened a ‘bring and swap’ library in the Gardener’s House with a good range of books, magazines, CDs and DVDs which you can take away for a small donation, or take away FREE if you leave us a book in exchange!